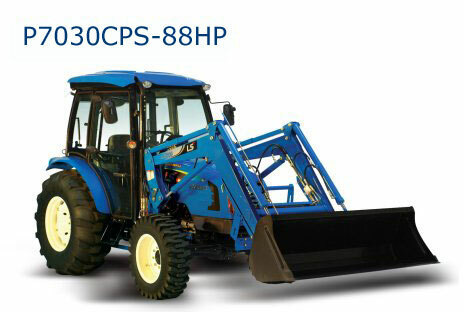 When you depend on your tractor to generate income, reliability, comfort and performance are paramount. Backed by our 5-year limited warranty and loaded with a long list of standard functional features, you can count on our P Series tractors to handle your heavy duty workloads. And when you compare what you get for the price, you will appreciate that you can do more because you get more with the LS Tractor P-Series. The P-Series is ideally suited for land owners with up to 50+ acres, small farm or cattle operations and commercial mowing contractors. These heavy duty utility tractors match nicely with batwing mowers up to 15 ft. and large round balers. They are also a great choice for moving and stacking large round bales, clearing land or snow, organic farming and gardening. You can work with peak efficiency because each P-Series is outfitted with more operating speeds, standard creeper gear, and more loader lift capacity than competitive models. The P-Series comes with our signature features at no additional cost. To outfit a competitive with the same features that come with your P-Series, you would typically have to pay extra. So why pay more? Visit your local LS Tractor dealer to see why more people think LS Tractor is a smart choice.